As a trainer, I travel with my own equipment. This projector is perfect for my training needs. Travels well and sets up easy. Bought this along with the Mega Screen to put outside for kids to watch in back yard. Overall quality is fair. Packaging is as generic as can be has no branding of any kind that is visible. 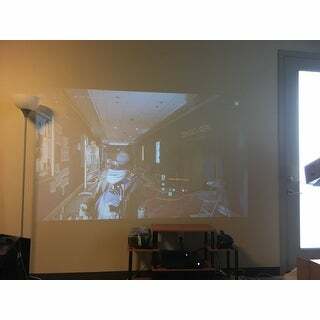 The projector is light and compact has all the connection that most projectors bring including HDMI. Says it can project 108" image well it can, just not as bright as would be expected. Room has to be fairly blacked out to get any real detail. 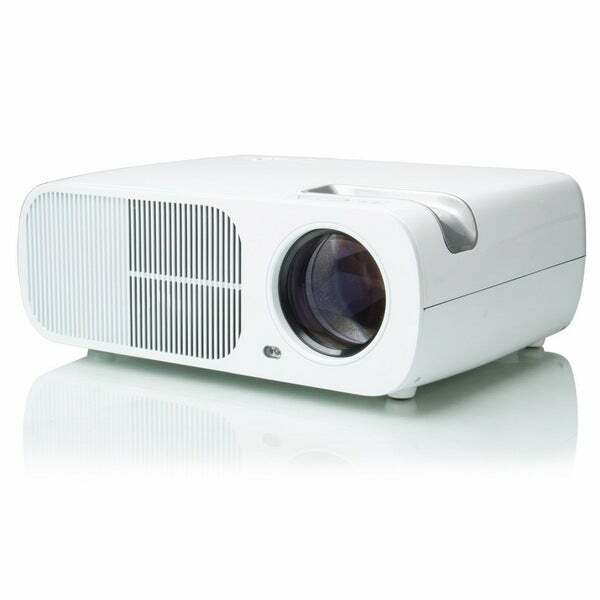 Not like other projectors that if you turn lights on you can still see image. Image all but disappears when room lights on. As for the backyard not bright enough unless you figure out how to dim the moon and street light. It's exactly what you paid for inexpensive and works. Just wish it was brighter. This is no where near the 3200 lumens stated on packaging and website it's more along 600 to 750 lumens in brightness. Disappointed but works. For a no name brand, this projector works really well. So far the quality of the picture is very clear. I purchased this projector several months ago and it still works as good as the day it arrived. The cooling fan is a little loud to me, but for the price and again, I cannot say what company made it it works very well. I am satisfied with the purchase overall. 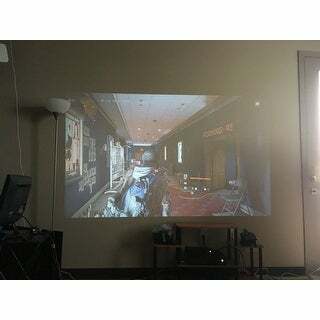 I would recommend it, if you don't want to spend a lot of money for a projector. 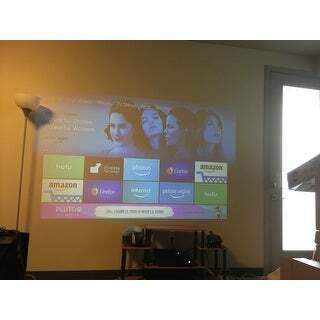 This is a nice projector for the price. The only downside to this projector is it can’t be mounted to the ceiling. We are going to have to buy some kind of shelf mount in order to hang it from the ceiling. a good projector for kids not loud enough for a large room. does not appear bright enough to use unless room is completely dark. contrast and definition are good. Not as bright as my old 2000 lumen DLP projrctor. Arrived early. I set it up and it has a pretty great picture. I would buy another one. The picture was not the best quality. This picture appeared a bit crisper the darker the room was. For the price that I paid, it was not too bad. I can't wait to try it this summer for outside nighttime movies. "Can this projector be mounted to the ceiling "
"Can this be mounted from the ceiling? Does it still show upside down?" "How big is the picture? What is manufacture and model (could have looked up first question on my own with that info)?"